I was playing on his MacBook and remembered the Photo Booth feature. It's not good quality, but it's a picture, right? 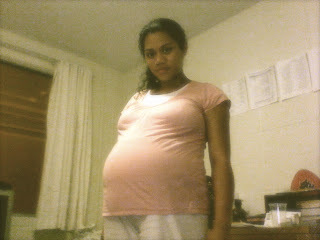 So enjoy seeing me and baby at 35 weeks and 4 days! What can a pregnant woman be for Halloween?? ?